The ice and nature are interwoven to open up a mysterious scenery. 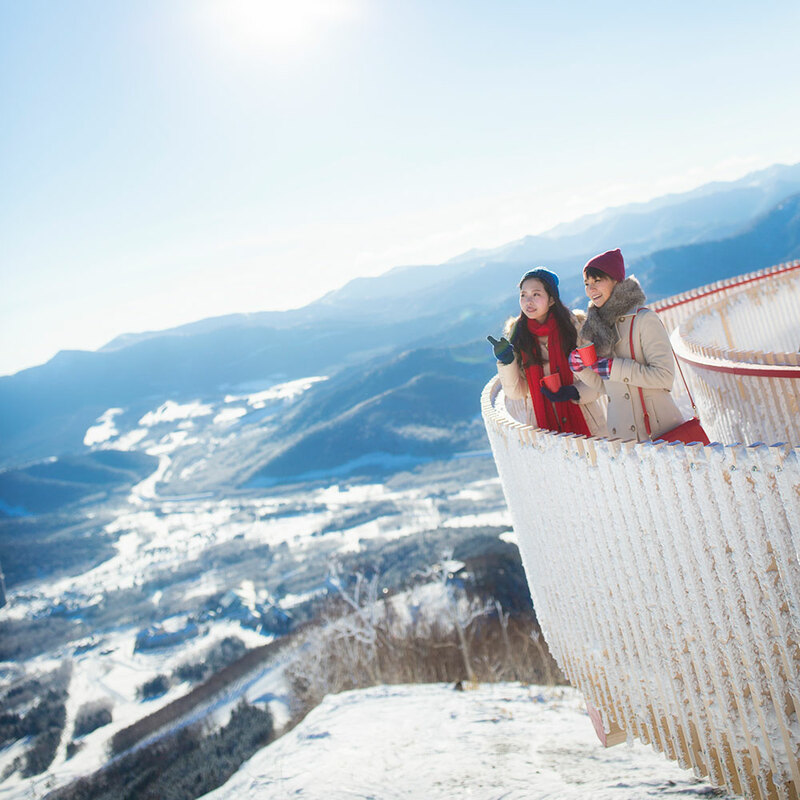 From the "Terrace of Frost Tree" that can be accessed thru a single ride on the Unkai Gondola from the mid-mountain area, you can see the pure white trees covered in snow glistering, and also the magnificent Hidaka Mountains. 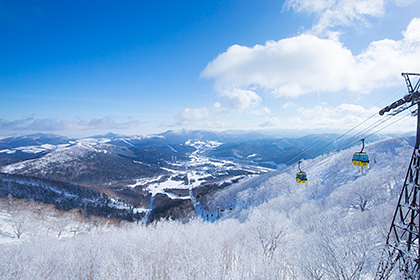 Everybody can enjoy the amazing winter Tomamu scenery at ease. A period exclusive light up event at night will be held. * During business hours, there may be situations where frost tree does not occur or the business hours are cancelled due to weather conditions. 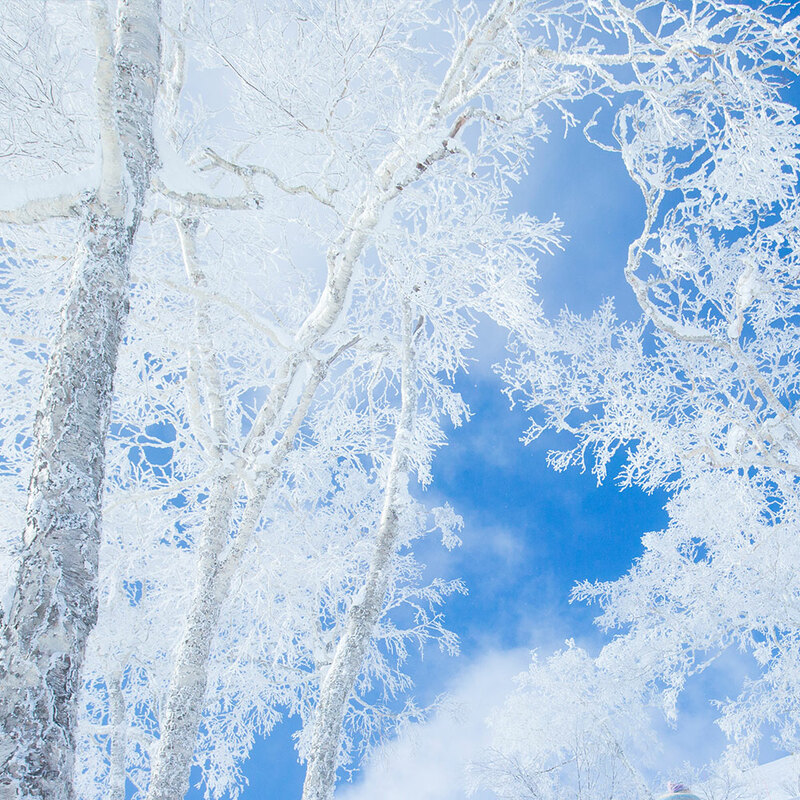 When the surrounding is below freezing point, the water vapor or fog in the air attach onto the plants. 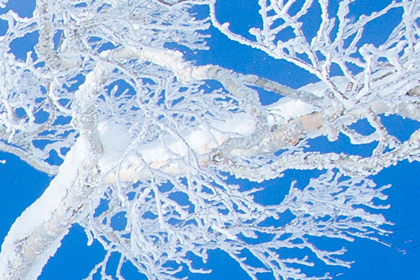 This kind of frosting is most commonly known as "Frost Tree". 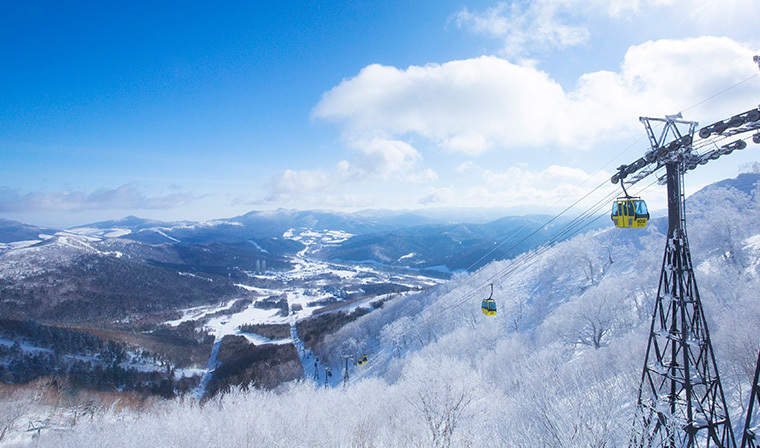 A 13-min ride from the mid-mountain resort center on the Unkai Gondola. 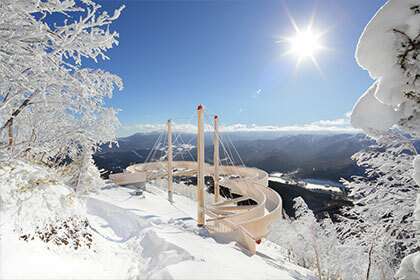 Please enjoy the magnificent scenery from the Terrace of Frost Tree ("Unkai Terrace" in summer) 1088m above sea level. Please enjoy our original menu while viewing the magnificent scenery. 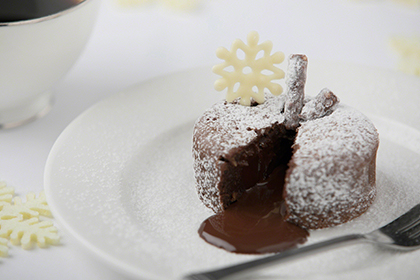 Chocolate in tge of frost and snow on the trees are arranged around the warm chocolate fondant. 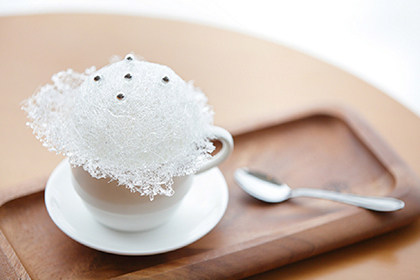 A hot coffee decorated with crafted pure white candy in the image of frost tree. 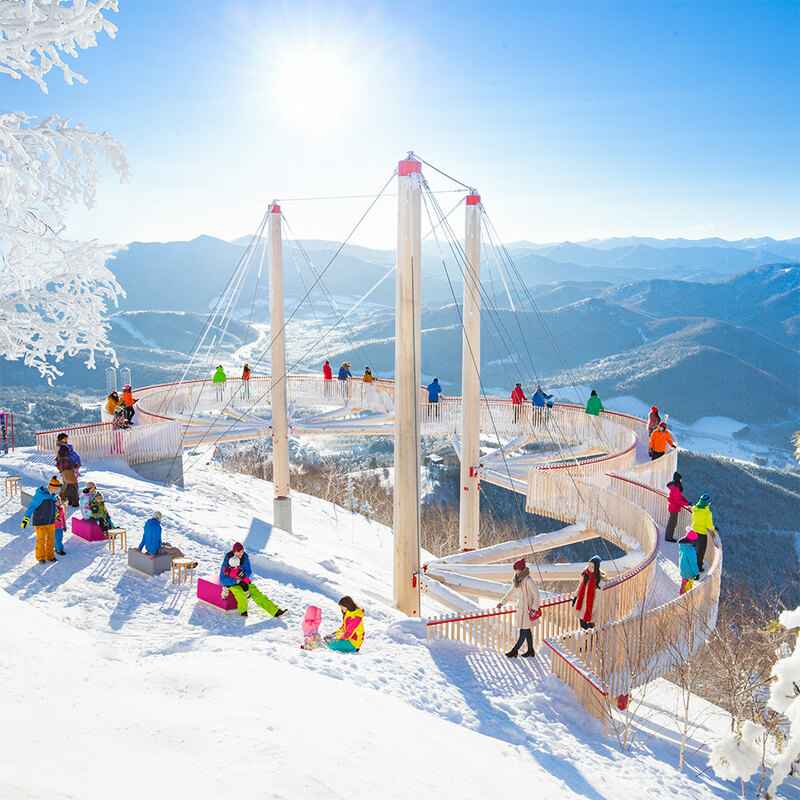 Please enjoy the 200m Snow Mountain Walking Trail between the Terrace of Frost Tree and "Cloud Walk". 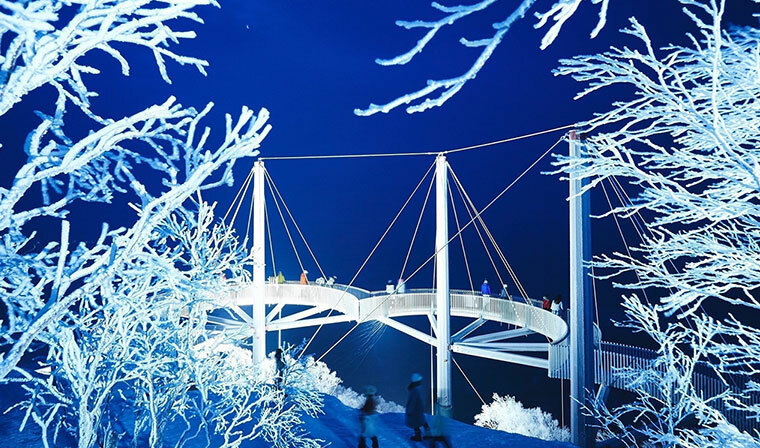 A light up event at the Terrace of Frost Tree will be held. 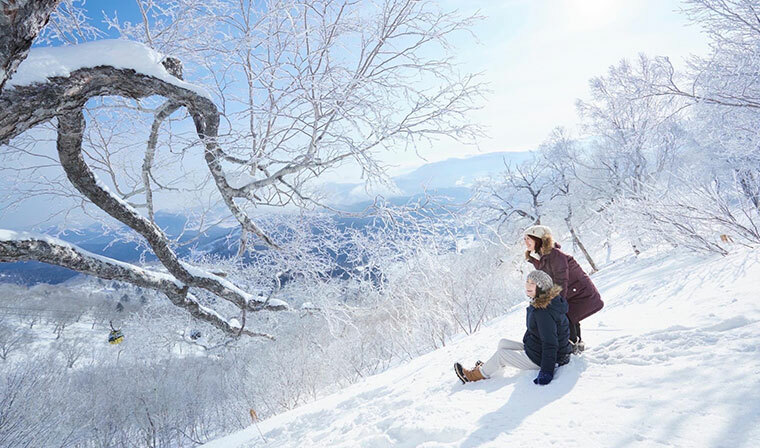 After the business hours of the ski field, at the Terrace of Frost Tree surrounded by silence, please enjoy the night scenery with illuminated frost tree, and sometimes even diamond dust can be seen. Warming the body with "Frost Tree Hot Campari" while enjoying the frost tree scenery. Heated Campari has a more prominent aroma. 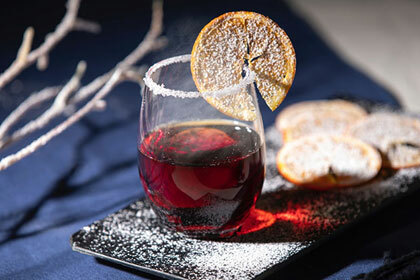 In order for you to warm up the body in the below freezing winter mountains while enjoying the magnificent scenery, we have prepared the hot Campari with orange juice. The cocktail glass is rimmed with sugar, sprinkled with sugar powder, and decorated with round slices of orange to mimic the image of frost tree.